Amazon Instant Video is a popular video on demand service offered to the United States and several other parts of the world (United Kingdom, Japan etc.). There is a plethora of high quality stuff for you to enjoy, as long as you subscribe to the service. You may rent or even purchase the shows and films of your liking, so as to watch on demand. However, this is a geographically restricted service. This means that not all people are able to watch the same content, even if they gain access to Amazon Instant Video. Copyright restrictions apply and therefore you need to come up with a way towards lifting them, if you wish to enjoy great content on demand regardless of location. Luckily, nowadays you can benefit from unblocking Amazon Instant Video outside the US and everywhere in the world. In fact, there are various methods that you can use for the same purpose. 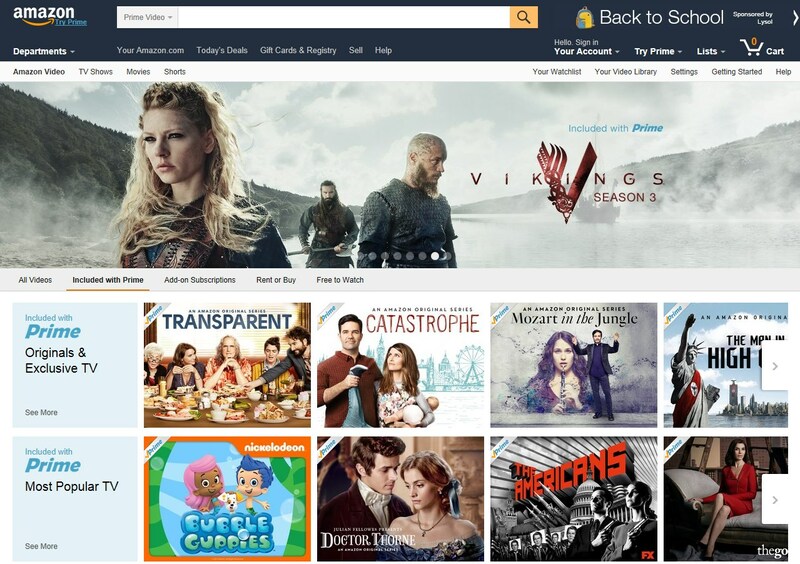 In this article, we are going to concentrate on SmartDNS as a way of unblocking Amazon Instant Video and we are going to show you the 5 best SmartDNS for Amazon Instant Video for you to have your pick from. Unlocator: Unlocator is a popular option among SmartDNS users. It is a Danish service, offering great value for money. It is really reliable and it can help you out towards unblocking Amazon Instant Video in moments. No software installation is required, which makes things even easier for you – even if you are not that tech literate. It is fully compatible and there is thorough help and support. Last but not least, it provides you with the opportunity to enjoy the SmartVPN feature, when this is needed. Overall, Unlocator is a great player that should never be underestimated and a trustworthy solution at all times. Unblock US: Another reliable option for you is that of Unblock US. With their headquarters in Barbados and with a branch in Cyprus, this is a wonderful service that provides blazing-fast speed and no performance deterioration. You can unblock Amazon Instant Video and many other channels worldwide, in a few moments. SmartVPN feature is also available here, as well as fully compatible services with all devices and OS. The cost is really affordable and the support department is truly amazing. For easy and simple setup and for instant feedback in your inquiries, Unblock US is a solid solution. TrickByte: This is a really affordable service, based in Thailand and providing a wide selection of channels unblocked. In the United States, it can help you unblock Amazon Instant Video or any other channel you wish (Netflix, Hulu etc.). There is a free trial for you to take advantage of, so as to see if the service truly does the work it is intended. Help and support is really great, which makes the whole user experience better. If you want, you can combine SmartDNS with VPN at a reasonable price, too. Although it has launched just a couple of years ago, it is reliable and it can work wonders on any device for you. OverPlay: OverPlay is a US based company and this is great, since what you are interested in unblocking is a US service. For the average cost of SmartDNS, you may get access to all the channels you have been craving to unblock. Full compatibility with devices and Operating Systems add to the overall value of OverPlay. The support is also thorough and informative. They claim to offer security, flexibility and speed and they live up to their claims. Whether you simply need SmartDNS or a combo with VPN and SmartDNS, OverPlay can work wonders for you. 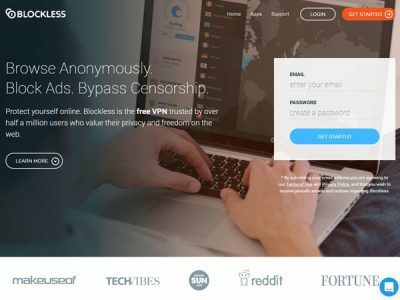 Blockless: Blockless is a company that is based in Canada. It is offered at $4.95 per month and with several discounts for longer commitments. This is the average cost for similar services. However, Blockless provides top notch unblocking of international channels, including Amazon Instant Video. You can benefit from the added SmartVPN feature, in order to gain access to unblocked content when SmartDNS is not available. You can use credit cards or PayPal for paying your subscription. Generally, Blockless SmartDNS can be your helping hand and provide exceptional services to you. Why Use SmartDNS and Not VPN? After having displayed the 5 best SmartDNS service providers in the market nowadays, it is time for us to analyze why you ought to go for SmartDNS and not any other option of unblocking channels, such as VPN. Well, it is true that there is no encryption involved in the process of unblocking content via SmartDNS. Although some people might fear of the lack of encryption, what you need to keep in mind is the fact that the lack of encryption leads to a much better overall experience in live streaming. Speed is much faster and the performance is intact. Apart from that, SmartDNS is a lot less expensive than the VPN. It can be used on all devices and OS, thanks to its full compatibility. In addition, it does not require any software installation for setting up and starting using the services provided. It is easy and simple, straightforward and reliable. So, whichever of the above mentioned service providers you choose to use, feel free to unblock Amazon Instant Video outside US and everywhere else in the world! Make sure you choose prudently, so as to make the most out of your subscription. Follow the instructions carefully and you will be able to gain access to the content of your liking, no matter where you are in the world. It is definitely worth trying!